red and bugundery.. also bindalli can be navy colored.. They look like costumes from a historic Arabic TV serie! They are way over the top, this is why I don't even try to do the gown look. Anon 1, thanks for the info! Jessyz, the gown look I wouldn't go for on a day-to-day basis, but for an engagement I think they're great! 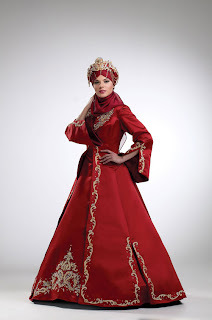 I'm Turkish myself but I'm not very into these dresses. I think 'meringue'-like skirts are only for the bride on her wedding day. In other colours than white (or ivory), they just look too costumey indeed. 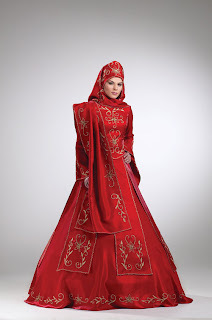 I do like the purple dress (no5), it has a very Ottoman feel to it. I think four has a gorgeous color, and five would make a nice wedding outfit, actually, it's really elegant--but I agree with you on 2 and 3.